Collect stamps on your “Passport to Health” by attending an event or redeeming an offer. Collect 4 stamps throughout the week and be entered for a draw! Prizes include an initial consultation with a Naturopathic Doctor, a FitBit Blaze 2, and more! 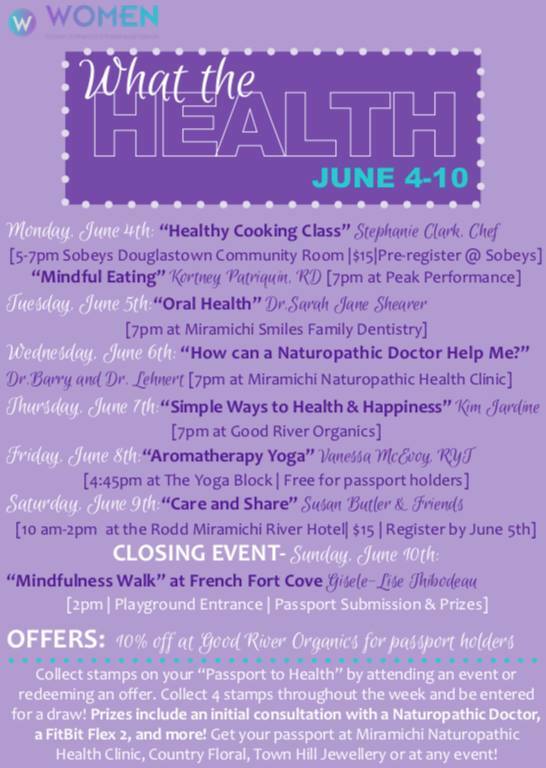 Get your passport at Miramichi Naturopathic Health Clinic, Country Floral, Town Hill Jewellery or at any event!